Latest Current Affairs of February 2016 - Hello Aspirants, In this article we have provided you with Current Affairs of February 2016 you may go through it for the preparations of your competitive exams. As GK section plays a very important tole in any exams to maximize your score so this will surely help you a lot for your written exams. For any questions feel free to ask below in comments.Also if you liked the article do share it with your friends! 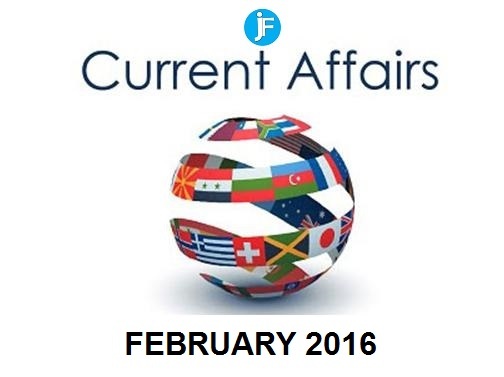 And keep visiting our page for latest updates on current affairs for the coming months.